Ardee Concert Band are delighted to announce the launch of their first CD. The launch took place at their Annual Concert held last week. The CD was recorded in the Bohemian Centre last April and it is a compilation of some of the band’s favourite pieces starting with a well known traditional march Blaze Away and including film themes, jazz and other popular music including Abba Gold, Jesus Christ Superstar, Music of the Beatles and many more. The attractive cover of the CD shows striking pictures of a famous Ardee landmark, Ardee Castle. We are very grateful to Ken Finegan of Newspics for providing these photos. The CD is available from Kevin Reilly at 0860816496 at a price of €10. The band’s 28th Annual Concert held last week was without doubt one of the most successful and enjoyable nights held in Ardee in recent times. A capacity crowd of 450 were delighted with the excellent performances and the variety of entertainment on the night. The 35 strong Ardee Youth Band under the direction of John Gaynor opened the night with the music from William Tell and finished with a selection from Pirates of the Caribbean. 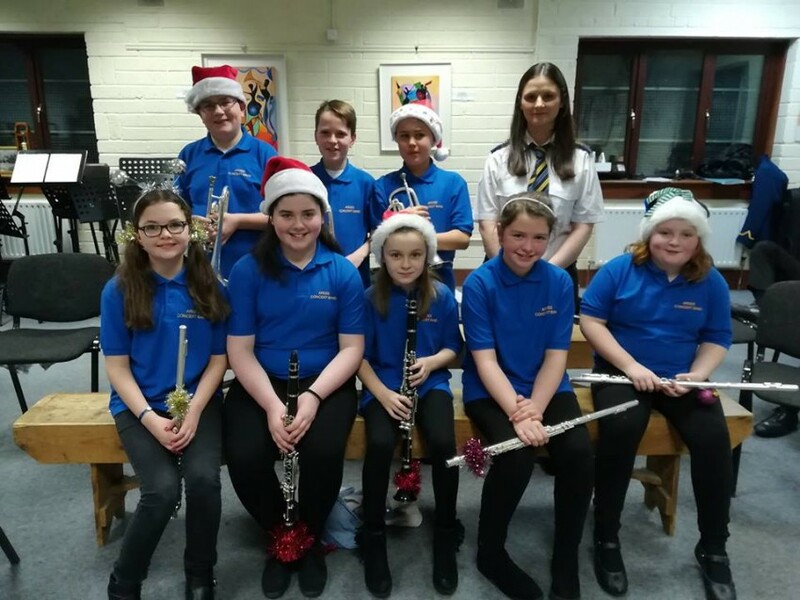 The 40 strong Ardee Concert Band Recorder Group under the direction of Adam Byrne played three pieces, finishing with the ever-popular Jingle Bells. The third act in the first half was a comedy sketch called “The Start of Something” and featured 25 of the young members of the band re-enacting the recent G20 summit held in Ardee! Full praise must go to the directors of this sketch, Clodagh McClean and Sinead Nutley. The second half featured the Ardee Concert Band under the direction of Harry Kelly who entertained the enthusiastic audience with well known popular and Christmas music to suit all tastes. Special guest, John Kirke from the St. Peter’s Male Voice Choir in Drogheda sang the Jona Luie hit Stop the Cavalry and the night finished with a singalong of Christmas tunes which featured the entire audience singing their hearts out. Ardee Concert Band’s 28th Annual Christmas Concert takes place on Tuesday 15th of December in the Bohemian Centre, Ardee. Traditionally this event, for many Ardonians and band supporters, is the beginning of their Christmas celebrations. This year’s concert promises to be full of entertainment, variety and lots of Christmas cheer in a lovely cosy atmosphere. The band members have already decorated their newly painted Bohemian Centre with the Christmas season in mind. The compere for the night is band member Alan Kelly. The programme consists of a performance of the newly formed recorder group ably assisted by last years recorder group. For some of these children it will be their first time to perform on a stage to a big audience. Band member Adam Byrne will conduct the recorder group. The Youth Band conducted by John Gaynor will also perform from their repertoire and include some Christmas music. There will be a short theatrical performance by a group of youth members, this sketch was produced by the two youth committee representatives Clodagh McLean and Sinead Nutley. The highlight of the night is the senior band. They are currently basking in the glory of their win in the Northern Ireland Band Championships, their prize the fabulous “Turner Cup” will be displayed on the stage on the night. The senior band will be conducted by Harry Kelly and will also feature a very special Christmas number from John Kirk of the St Peters Male Voice Choir in Drogheda. Hopefully Santa might pay his usual visit to the concert. Tickets for the concert cost €10 for adults and €7 for children and are available from any band member and at the door on the night or call 086.6861647. The band has a very busy Christmas season, members Nicky Callan, John Gaynor, Dermot Murray, Peter McKeever, Jenny McKeever, Tony Flanagan, Vincent McArdle, Fiona Reilly, Oisin Clarke and Kevin Reilly performed Christmas music last week for the turning on of the lights in Ardee, a very successful venture for all concerned. The band will travel to Omeath to visit Fr Shevlin to perform at the Carol Service on Thursday 17th of December. 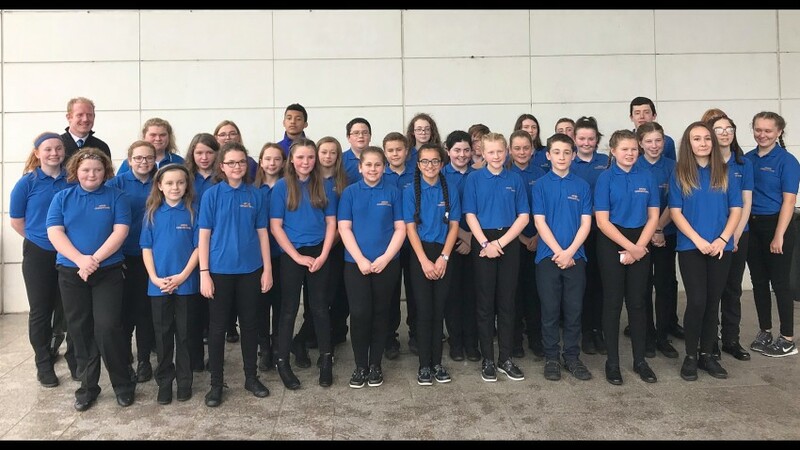 They will also perform at the Ardee Carol Service which is on Sunday 20th of December at 7pm in the Church of the Nativity of Our Lady. They will be joined by choirs from Ardee Parish and from local schools. Band members will perform carols on the street and in Moorehall Lodge on Christmas Eve and at 12.30pm Mass on Christmas Day. at 5pm on Sunday 15th of November 2009. This publication was made possible through Louth County Council’s utilization of the Per Cent for Arts Scheme, which allows up to 1% of the capital costs associated with an infrastructure project to be used to commission an artwork. The launch of “Concert Band” was part of Ardee Baroque, a celebration of music in the castles and churches of mid-Louth. See www.createlouth.ie for further information. The following is the introduction that Brain Harten, Louth County Council Arts Officer, wrote to introduce the book. Concert Band is the name given to the series of photographs made by Jackie Nickerson, the subject matter of which is Ardee Concert Band. With musical antecedents going back as far as the nineteenth century, Ardee Concert Band can boast of a rich heritage of music- making. Having won a range of regional and national titles in recent years, the Band can properly lay claim to being one of the pre-eminent concert bands in Ireland, and has given innumerable well-received performances, both at home and abroad. Like many of the more successful voluntary initiatives, Ardee Concert Band is invisibly stitched into the fabric of its own community. Through the passage of time, the Band, like the GAA or a well-supported local charity, actually becomes part of the community, as opposed to an add-on or a luxury feature. Having long ago lost its novelty value, the Band, for many Ardonians, is a matter-of-fact part of growing up and growing older. Indeed, family trees can be gleaned from the past and present register of members. The outside eye invariably brings a sharper focus, and Jackie Nickerson, through her photographs, describes both the people and the place of Ardee Concert Band. The band members pose in their civvies, their instruments at the ready or in repose, reminding us that the Band has two incarnations; that of jeans, t-shirts and jumpers for rehearsals, and the blazered, almost military rank and file of the performance. Nickerson’s images also make us aware of the wide age range of the band members, a hall-mark of a deeply embedded community institution. The younger musicians have the energy of the yet-to-happen, and the older members have seen it all, many times before. Together, they coalesce to make music, and during that time, differences in age, gender, experience, background, personality, politics and religion become insignificant, as the discipline of the sheet music imposes harmony. Hands are a give-away. They provide unprompted evidence of a life lived outside, or spent within. Pockets or gloves can disguise the proof, but neither subterfuge makes for successful playing of a musical instrument. Despite the efforts of many, a musical education is still too often the preserve of those who can afford to pay for it outside the formal school system. A boy from a less well-off family is still many times less likely to benefit from musical tuition than others. And yet the faces and hands of many of Nickerson’s subjects assure the viewer of the egalitarian nature of music-learning and music-making within the band. Here, music is an everyday occurrence, and Nickerson makes us realise that the band has succeeded in elevating music to the day-to-day. Nickerson’s images succeed in showing us the individuality of each band member depicted, an individuality which is submerged for the greater good of the entity which is the Band. She is also aware that the environment of the Ardee Concert Band shapes and forms the members and the Band. Once a cinema, the Bohemian Centre is now the band room, concert hall, and home of Ardee Concert Band. It is the backdrop for its existence. Nickerson shows us its differing facets; studio, games room, warehouse, rehearsal room, performance venue. She introduces us to the duality of the place, a place where music is prepared and where music is presented. Curtains in a performance space act as a border between the mundane, the jeans, and the countless hours of practice on one side, and the adrenaline, the uniform and, occasionally, the magic, on the other. One cannot exist without the other, and Nickerson’s shots of curtains and drapes foreground the duality of perspiration and inspiration. Concert Band contrasts the hubbub of children with the calmness of playing, the informality of rehearsal with the discipline of performance, and the noise of people being in a space with the silence of an empty room. Nickerson succeeds in giving the viewer an oblique insight into a quietly remarkable group of people and the institution they create.